This is the front of the ASR 33 Teletype teletypewriter set main assembly. In the middle front is the typing unit which does the printing. 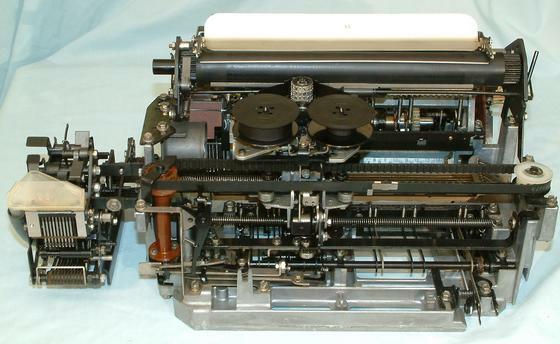 The cylinder to the left of the typing unit is a dash pot which a piston on the typing unit ( 59K) enters at the end of the carriage return to smoothly stop the typing unit at the left margin. On the left is the paper tape punch.